If you’re looking for a powerful pickup truck that can get the kids to school on time and transport your work material, you’ve come to the right place. The 2016 Toyota Tacoma doesn’t forgo safety for style, instead it seamlessly blends both, creating one appealing vehicle. When you think of the Toyota brand, you think of quality and safety; both of those hold true with this new model. Find the complement to your rugged lifestyle by test driving the Tacoma today! 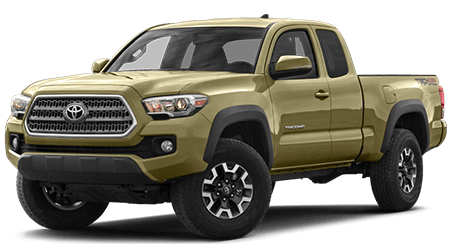 Our dealership is conveniently located in Venice, just a short ride away from Bradenton and Sarasota, FL so make the trip over today to see this Tacoma in all its glory! Start your Toyota search now using our online inventory to search through the available options. You can even input your search criteria to narrow down your results! Start shopping today and don’t hesitate to reach out with any questions that may arise. Of course, you are always welcome to browse in person at our Florida location! We look forward to welcoming you and walking you through the impressive features of the new Toyota Tacoma. Keep reading for some more detailed information and to see how the Tacoma compares to a similar model, the Nissan Frontier. The Tacoma is one safe vehicle, thanks to the features that come standard! If you’re looking to personalize your truck, talk to our professional team about all the available add-on options as well and how they may benefit your driving experience. You can keep the whole family safe in this durable pickup and with the child safety locks and dual front side-mounted airbags, you can rest easy knowing you and your family’s safety is a top priority. Talk to a team member about how the stability control functions and don’t forget to ask about the glass breakage sensor and how you can get an emergency assistance kit. We look forward to telling you all about these jaw-dropping features! Similar to the Tacoma, the Nissan Frontier has stability control as well as dual side-mounted airbags for your safety. The power steering helps you to guide the vehicle with ease while the tire pressure monitoring system and traction control work to keep you protected. While the two models may seem similar at first, it is important to slide behind the wheel so you can see how each performs. In that way you’ll be able to make a confident, informed decision. Let us schedule a test drive for you today! Sure, you want a safe vehicle that will protect you and your cargo, but it’s human nature to also want what looks good. Now you can have it all, by purchasing the 2016 Tacoma. If you’re looking for power but aren’t interested in a full size pickup, the Tacoma is an option that can’t be missed. The sturdy, athletic build can get you and your materials to that construction site with ease while the peaceful interior will make you forget you’re on your way to work. Relax as you gaze upon the cloth upholstery and soft touch materials and be sure to bring along all your belongings; with all the available cupholders, door pockets, and seat back storage spaces, there’s plenty of room for everything! Rock out to your favorite tunes with the six speakers and be sure to utilize that rear view camera to help guide you out of those tight parking spaces. Kick back, turn up the air conditioner and hit the open road in style! Come in today to go experience these features in action. Just like the Nissan Frontier, the Toyota Tacoma is capable of seating up to five passengers comfortably, and each make comes in a variety of different trims. Talk to a team member today to hear all about the specifications of each and talk to us about your lifestyle and driving habits. We’ll make some recommendations and get you behind the wheel of your choosing! The Tacoma utilizes a powerful 3.5-liter V6 engine to handle whatever life throws in your path. Looking for some serious horsepower? This Toyota stands up to the challenge, putting off an impressive 278-hp. With the optimized fuel injection and power cycle, you’ve got one sturdy truck on your hands. Thinking about doing some heavy lifting? The towing capacity of the Tacoma exceeds that of its Nissan competition, making it an all around quality choice no matter how demanding your needs are. The Nissan Frontier has a slightly larger engine, being a 4.0-liter. 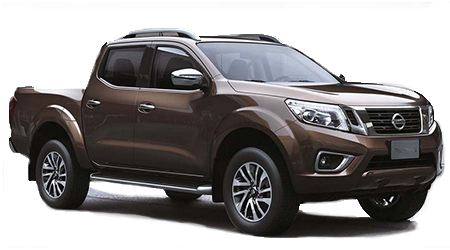 However, it is important to note that the Frontier has only a 261-hp rating, making it the less powerful of the two. In addition, the Frontier boasts an estimated 16 city mpg, while the Tacoma comes in at 19. While the choice may seem obvious, we still encourage you to come in for a test drive to really see how you and the Tacoma get along; nothing beats a hands on experience, so come on over today. The Toyota Tacoma has a smaller turning radius than that of the Frontier, enabling you to zip around with ease. While the slightly slimmer design of the Frontier may give the illusion of being easier to handle, the larger turning radius can present problems in those narrow spaces. The Tacoma is a vehicle that wasn’t just intended for the open road. All the different elements combine to deliver a vehicle that is capable of handling big city life as well. Come down to Venice Toyota in Florida today to catch of glimpse of this majestic beauty, and to slide behind the wheel. We invite you to experience true comfort today, with the 2016 Toyota Tacoma. Our friendly staff is standing by at our convenient Venice location, so make the short trip from Punta Gorda or Sarasota, FL today to go over all the impressive features of the 2016 Tacoma. We’ll happily answer all your questions and even suggest some add-on features that will help life run a bit easier. Talk to us about the different financing options available and don’t forget to check back on our specials page often. Give us a call or come in to learn about how you can schedule a service to keep your Tacoma running smoothly. We look forward to welcoming you into the Toyota family!